The finance ministry had ratified 8.55% of interest on Employees' Provident Fund for the last fiscal. The EPFO had provided 8.65% interest for 2016-17. New Delhi: Retirement fund body has asked its field offices to credit 8.55 per cent rate of interest for 2017-18, the lowest rate since 2012-13 fiscal, into the PF accounts of around 5 crore subscribers. The Labour Ministry has conveyed approval of the central government to credit 8.55 per cent rate of interest for 2017-18 into PF accounts of members, according to an order issued by the EPFO to its more than 120 field offices. 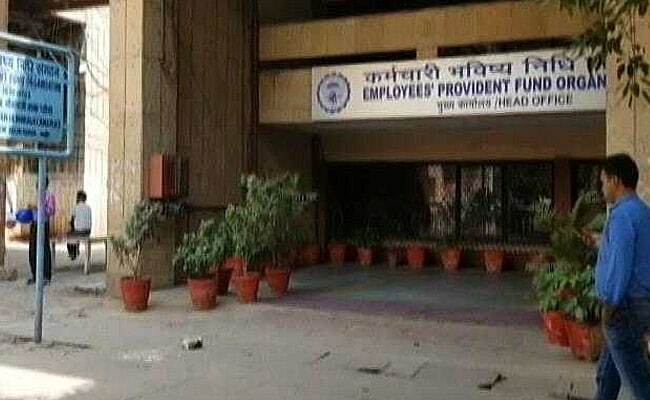 The finance ministry had ratified 8.55 per cent rate of interest on EPF (Employees' Provident Fund) for the last fiscal. But it could not be implemented because of model code of conduct for Karnataka elections. The labour ministry had sought Election Commission's approval to notify rate of interest for crediting the same into members' accounts by the EPFO in view of model code of conduct for Karnataka elections. The EPFO's Central Board of Trustees, headed by the labour minister, had decided to fix rate of interest at 8.55 per cent for the last fiscal in its meeting held on February 21, 2018. The labour ministry had sent the CBT's recommendation over the rate of interest to the finance ministry for its concurrence. However, it could not be implemented for want of the finance ministry's concurrence and was further delayed due to model code of conduct for Karnataka polls on May 12. The EPFO had provided 8.65 per cent interest for 2016-17. The members got 8.8 per cent in 2015-16 and 8.75 per cent each in 2014-15 and 2013-14. In 2012-13, EPFO had provided 8.5 per cent rate of interest on EPF. Thus, at 8.55 per cent for 2017-18, it is a five year low.